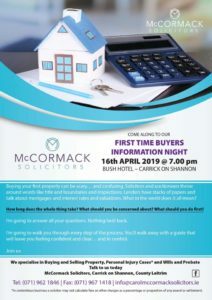 Mc Cormack Solicitors are holding an information night for First Time Buyers on 16th of April at 7pm in The Bush Hotel. 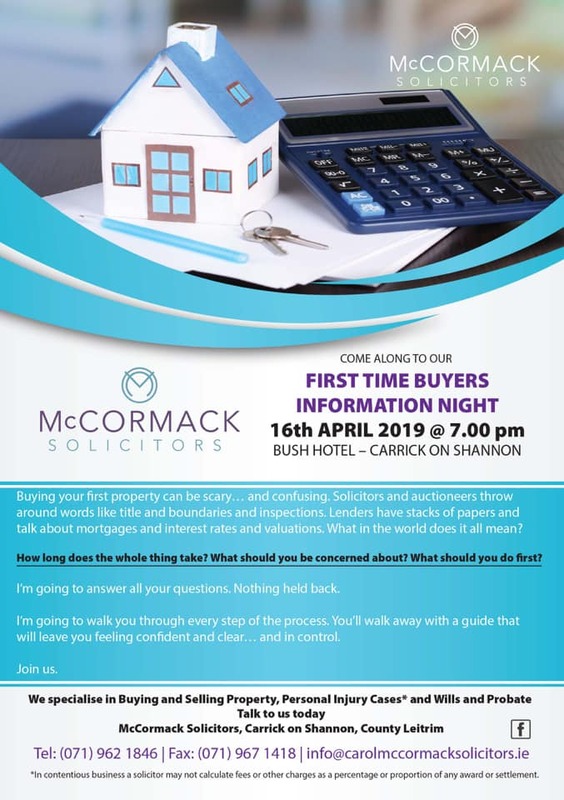 This event would be well worth attending! 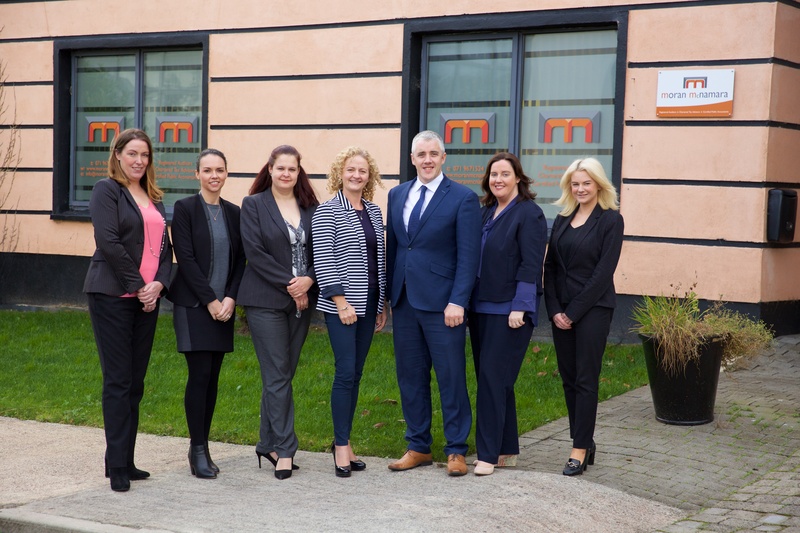 Click on the following for more information.